Aquanaut Brewing has endured their fair share of obstacles in their journey from idea to brewery. Along the way, they've sought out a new place to call home and even had to change their name (formerly Strange Pelican) back in the early days of the company. Luckily for Chicago beer fans, they handled those issues in stride and are now pumping beer out of their beautiful Bowmanville facility, in Lincoln Square. 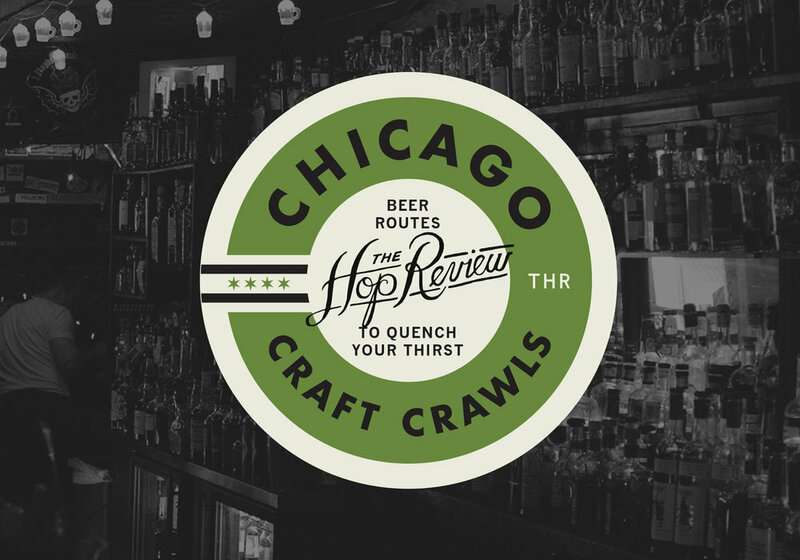 They've even made room for other Chicago breweries like South Loop Brewing and Transient Artisan Ales. We caught up with Founder and Brewer Eric McNeil, Account Manager Nicolette Fendon, and Nick Laws of Business Operations to see where they're headed next. Eric, what's your background? Did you always dream of opening a brewery? Eric McNeil: My grand plan in life wasn't necessarily to open a brewery. After designing a lot of beer labels for all of my home brews, I kind of got into it. Of course after the first beer you brew as a homebrewer, it's like, 'I just want to brew more and how do I make this better, how can I perfect this.' It's the bug you get. Then you start subbing in at places and working for free. Otherwise, I'd never held a permanent position at a brewery before here. It was a lot of hands-on learning. EM: Yeah for the most part. That's one thing we're pushing so far. The beers are a little on the maltier side and accent the yeast a little more. Also in the way it's served – we're trying to have a good cask/firkin program. I enjoy the style, and I feel that others do as well. We just don't see a lot of it in Chicago. Goose [Island] pretty much started with Honkers, and that kicked it off for them. Other then that, there aren't a lot of breweries that do a lot of traditional English beers. There are a lot of beers that are English-inspired but they usually have a lot of American hops. Nick Laws: That's one of the things that attracted me to working here. I cut my teeth on those styles of beer and I enjoy them. Traveling to the UK, that was the first beer drinking–outside of macro–that I did. As you guys were getting off the ground a few years ago, it seemed like you had several road blocks. How'd you get past them? EM: "Strange Pelican" was a whole different thing. We had to move from a location down in Fulton Market where we thought we were ready to go; but it took forever with construction permits. Then, we made our way up here and lucked out finding a space that had everything plumbed and ready. The only negative aspect that held us up was that we had to change our name. Any startup, especially a brewery, has issues like that, but you work through them. Now, things are finally happening really fast. NL: Right now there are a million things we want to do, but we have to prioritize them. Step one right now is to get cans out there. We've been hearing rumblings about Aquanaut in cans. What can you tell us about that? EM: We're gonna be Kickstarting our canning line here soon – in the next few weeks. We're gonna start with a mobile-canner just to get it going a little bit faster. That'll help us to just get the beer out there. We've only had one release so far, and that was in a 22oz bomber. We definitely want to release more, but we also want to establish our core beers first. We'll be doing our ESB in [4-pack] 16oz tallboys first. Next will be probably be our Rye IPA, Maiden Voyage, which isn't as strongly English influenced as our other beers. It's really well balanced. EM: We didn't know the 4 Paws guys before this; it just happened to be good timing. We were tipped off about this space by our attorney. We weren't the first people to check the place out, but it just happened to work out for us. We basically would have had all the same equipment that they had here. The neighborhood seems to be experiencing quite the beer boom as of late. EM: Well the Bowmanville Community Organization is very strong. They're really supportive and interested in what we're doing. We are a little off the beaten path, but it's also residential. You have Half Acre that has expanded here, and Empirical and Metro nearby. Being down in Fulton Market was a whole other atmosphere. It was great because of the whole culinary aspect of that area, but there is so much happening up here too, we are really excited about it. What can we expect from you guys in the future? Any plans to build this space out further? EM: We talked with Patrick O'Connor (40th Ward Alderman) – he's a good guy. He wants us to have a taproom. We know we'll have to jump through the right hoops: have a community meeting, get the community on our side, etc but it seems like it shouldn't be an issue. I think it makes a lot of sense for your first taproom to be on-premise – to bring people in, to see your space. We have the vision for it, it's just a matter of when. We're pretty limited right now with three fermenters and one brite tank. All the beer we are making right now is going out the door pretty fast. We're gonna be getting in a few 30 BBL fermenters pretty soon and that will hopefully satisfy our can demand. We've seen Aquanaut all over town. What does your distribution plan look like? Nicolette Fendon: We have talked about planning our distribution, but as long as we can keep it local I think it's better. I first want to make sure Chicago knows us before we start going any farther. We did have a few accounts that were a little farther out, but it doesn't make sense for us right now. We also want to build relationships with the community, the bar and restaurant owners, as well as the people drinking the beer. We want to be a part of the Chicago area family. If we expand too quickly I don't think that happens. EM: We know that distributors can help us out, by tackling certain territories. But it has to make sense for us as a brewery. The goal is to tackle Chicago first, and branch out from there. Plus we have to have the product to get it to all these places. We don't want to spread it too thin. Where does the nautical theme come from and how does that fit into your overall brand? EM: With Strange Pelican it was more of this 'deep-sea-sci-fi-aquatic' theme going. I do some of the illustration with another designer, Enis Martin. He does a lot of the main illustrations that will be on our cans. I will do the art direction, tell him what I am thinking, and then I'll have him execute an illustration and we'll expand upon it to an entire label. The whole nautical theme just seems pretty cool. We also have a subliminal jazz thing throughout our brand. All of the names of the beers are taken from jazz music. It's a little all over the place, but it is something that inspires me. Alright, when you guys get home from a long day of work, what are you drinking, to relax? NF: At the end of the day I will have half empty growlers of Aquanaut. That or tequila, right now a cheap Costco bottle. It's enormous! I have to budget, I'm getting married soon. EM: As far as beer goes, I have a small fridge where I keep a little rotation going. I am all over the place. I also drink a good amount of wine, or bourbon. Four Roses Single Barrel right now. With beer, it tends to be whatever I find interesting at the moment. I'm from the Quad Cities area, so whenever I go back I will grab a couple bottles of Toppling Goliath. Thanks to the whole gang at Aquanaut for having us in, sharing a few beers, and showing us the space. Keep an eye on The Hop Review for an upcoming feature on the soon-to-be Aquanaut cans, too. Older PostBeer & Branding: Atlas Brewing Co.